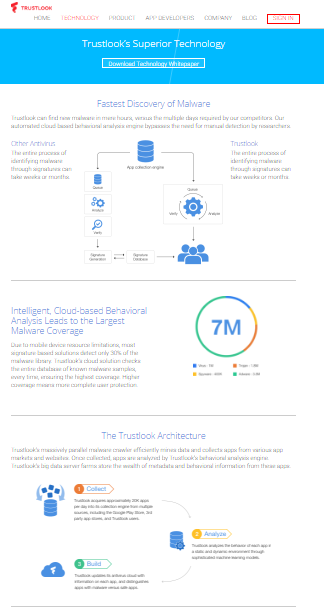 Trustlook is happy to announce our new revamped Technology page! Highlighting the sophisticated automation and technology behind our product, our new page shows how the Trustlook app provides the best security for your personal device. Please let us know how you are liking the new page in the comments and let your friends know how much you enjoy the Trustlook app.